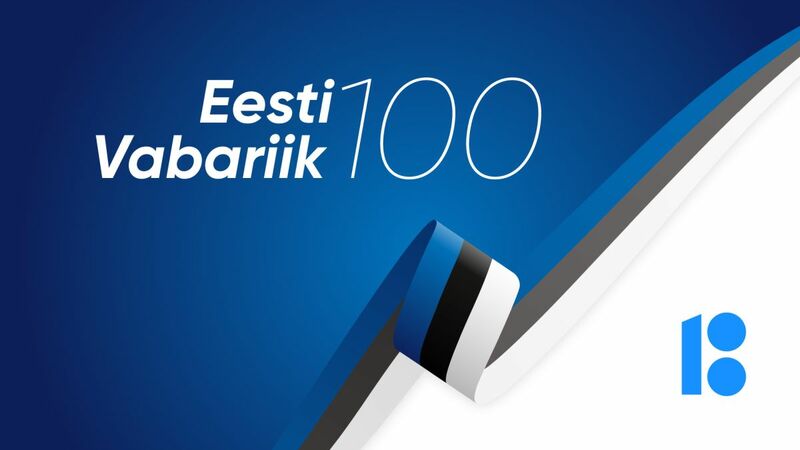 6 February / The 100th anniversary of the Republic of Estonia will be celebrated in Tartu with many different events, concerts, exhibitions and other activities. On Saturday, 24 February, city residents are invited to attend the ceremony honouring the Estonian flag at the University of Tartu Old Observatory, as well as the celebration taking place afterwards at Town Hall Square. The city space will also be decorated in honour of anniversary week, with trees of light, street flags and posts decorated in the national colours adding festiveness to the celebration. The following is a selection of the biggest events. 18 February at 19.18 – The Republic of Estonia 100 concert celebration Me hommikud, me päevad, õhtud, ööd (Our Mornings, Our Days, Evenings, Nights), at the Estonian National Museum. Producer Jaanus Tepomees, playwright Kaur Riismaa. Directors Triin Koch and Kuno Kerge. The Academic Women's Choir of the University of Tartu, the Academic Men’s Choir of the University of Tartu, and the University of Tartu Chamber Choir. Participating actors Andres Mähar and Piret Simson. 22 February at 16.00 – Flag-raising ceremony, at which the Estonian flag will be raised atop the Tartu Water Tower, organised by the Tartu Rotary Club. Prime Minister Jüri Ratas, Mayor of Tartu Urmas Klaas and Tartu Rotary Club President Rein Kinkar will be speaking at the ceremony taking place in Vanemuise Park, by the monument to Jakob Hurt. The brass band Popsid and men’s choirs from Tartu will be performing under the direction of Lauri Breede. 22 February at 18.00 – Concert ceremony celebrating the anniversary of the Republic of Estonia, at Vanemuise Concert Hall (invitation only). Prime Minister Jüri Ratas and Mayor of Tartu Urmas Klaas will be giving speeches. The City of Tartu will be presenting the title of Honorary Citizen of Tartu and the Tartu Täht decoration. The concert portion of the event is being staged by Ain Mäeots. At 08.30 – Laying of wreaths on the Memorial to the War of Independence, located in St. Paul's cemetery; on the grave of Kuperjanov, at Raadi cemetery; on the Monument to the Liberators of South Estonia; and the freedom monument Kalevipoeg, located in Tartu. At 9.15 – A festive line-up by the Defence League's district of Tartu and student organisations at the Kalevipoeg Memorial to the War of Independence, in Tartu. Speaking at the gathering will be the Chairman of the Tartu City Council, Member of the Riigikogu Aadu Must, and Chaplain for the Defence League’s district of Tartu, Priit Tamm. At 10.00 – Ceremony honouring the Estonian flag at the University of Tartu Old Observatory. Speaking will be Mayor of Tartu Urmas Klaas; Member of the Steering Group of Estonia 100, Tiit Pruuli; Ants Tooming, Dean of the EELK’s Tartu Deanery, and Pastor at St. Peter’s congregation; Tartu City Writer Laureate Mika Keränen; and Kaur Teder, Vice-President of the Estonian Students' Society. Also taking part are the Tartu Academic Men's Choir (Director Kuno Kerge); the Gaudeamus Men's Choir of the Estonian University of Life Sciences (Director Lauri Breede); the Tartu Men’s Choir of the Estonian Men’s Choir Association (Director Made Ritsing); the Estonian Forestry Worker’s Men’s Choir Forestalia (Directors Alo Ritsing, Kuno Kerge); the Tartu Men’s Choir Academic Emajõgi (Director Karin Raamat); the Haaslava Men’s Choir (Director Kalev Lindal); the Vanemuine Choral Society Men's Choir (Director Valli Ilvik); and the Tartu Brass Band (Director Margus Kasemaa). At 10.45 – Joint celebration and the eating of birthday kringle, at Tartu Town Hall Square. Performances by Henrik Hinrikus (accordion), Aksel Mängli (violin) and the folk dance group Torbikud. At 11.15 – service at Tartu’s St. John’s Church. The liturgical portion will be served by Lutheran clergymen: Pastor Triin Käpp, Sub-Dean Kristjan Luhamets and Dean Ants Tooming. Old Testament reading by E.Piili. Sermon by Bishop Joel Luhamets. Organist Elke Unt. Donations will help support the acquisition of a Baroque organ for St. John’s Church. At 18.00 – President Kersti Kaljulaid’s reception at the Estonian National Museum, dedicated to the anniversary of the Republic of Estonia (invitation only).